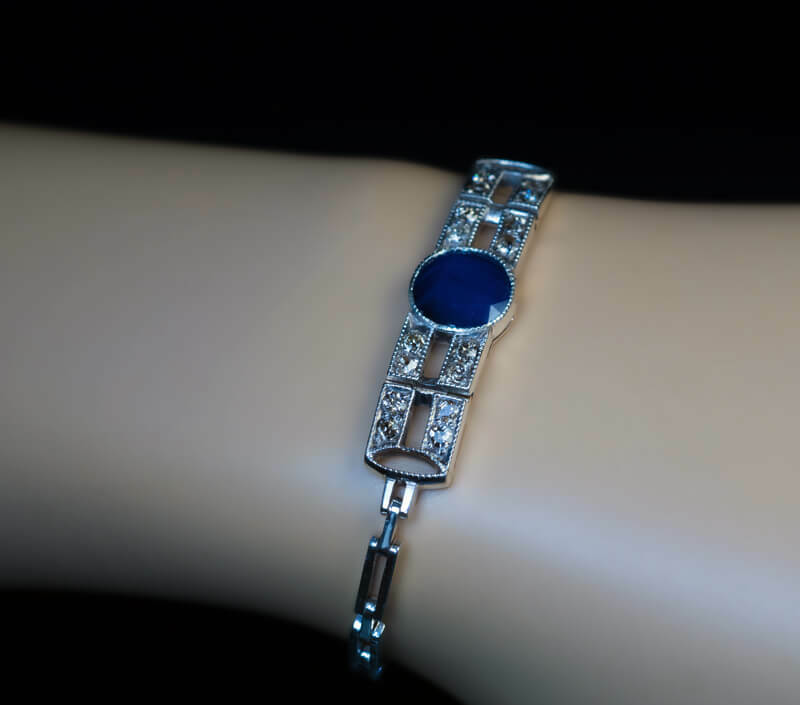 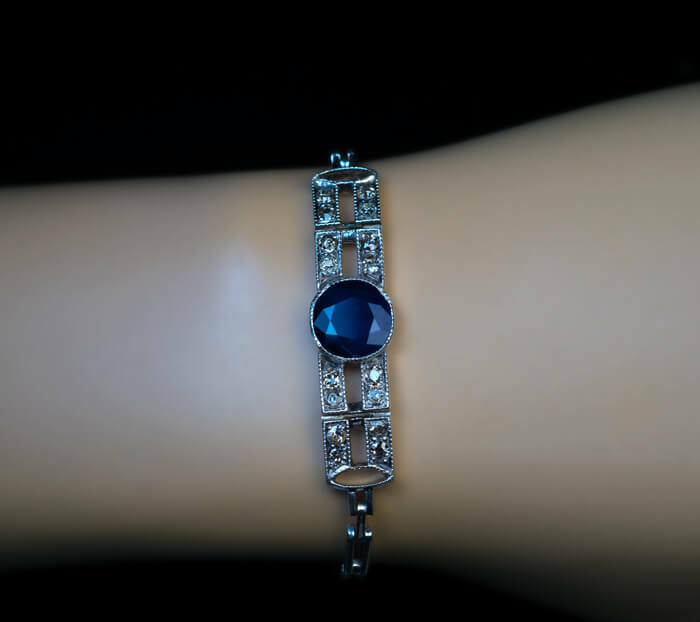 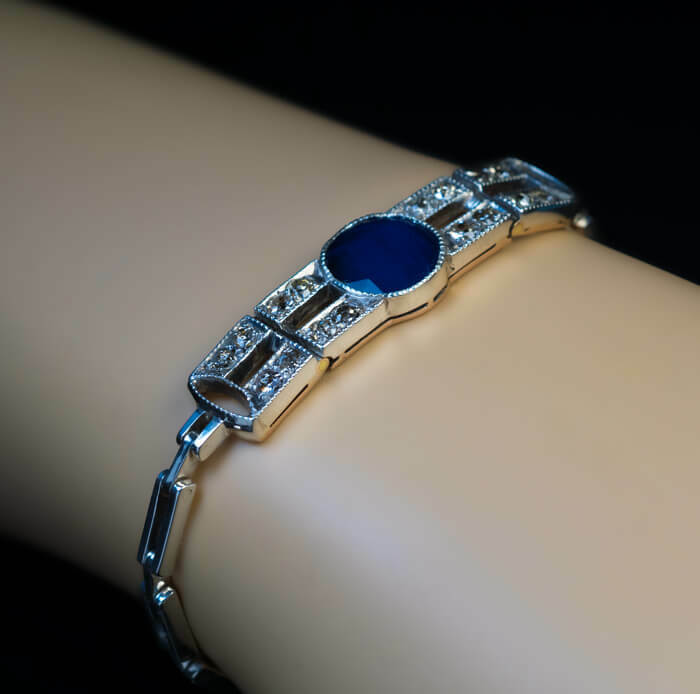 Boasting an impressive, velvet blue, 3.66 carat natural unheated Cambodian sapphire, this simple diamond bracelet carries the timeless charm of classic Art Deco. 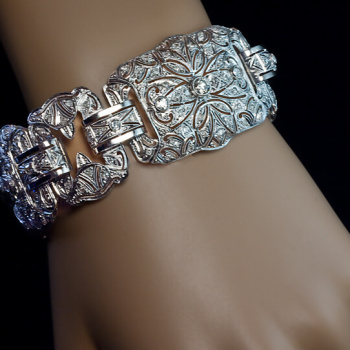 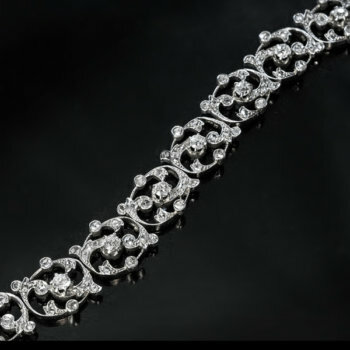 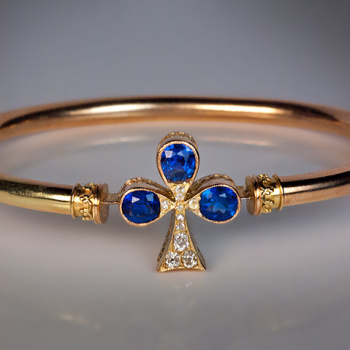 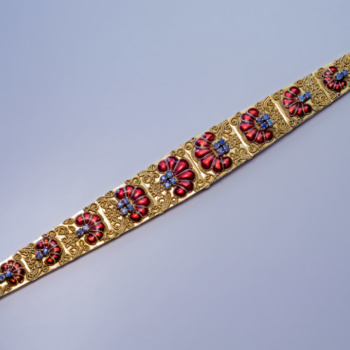 The bracelet is crafted in silver-topped 14K gold (front – silver, back – gold). 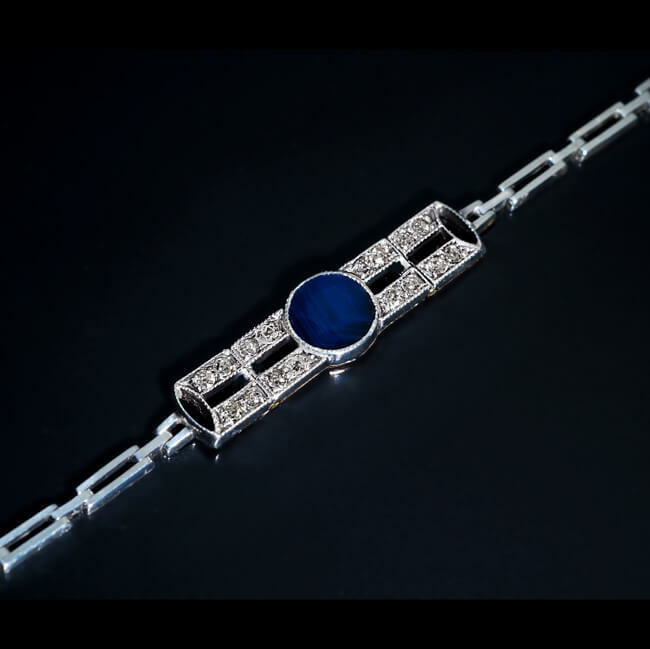 The sapphire is flanked by 16 old mine cut diamonds. 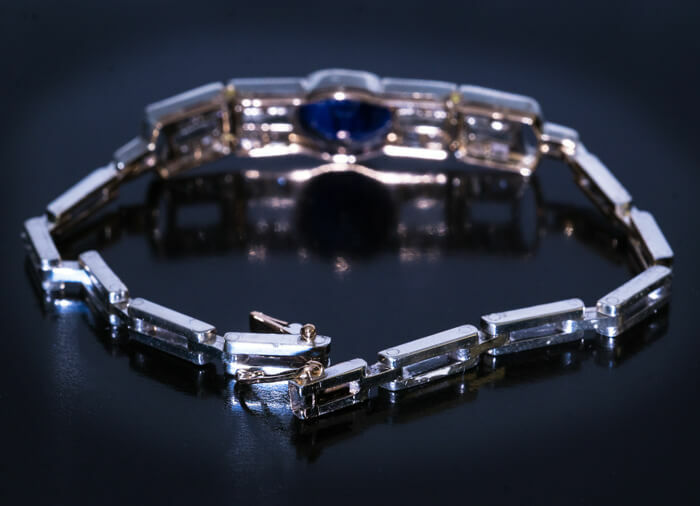 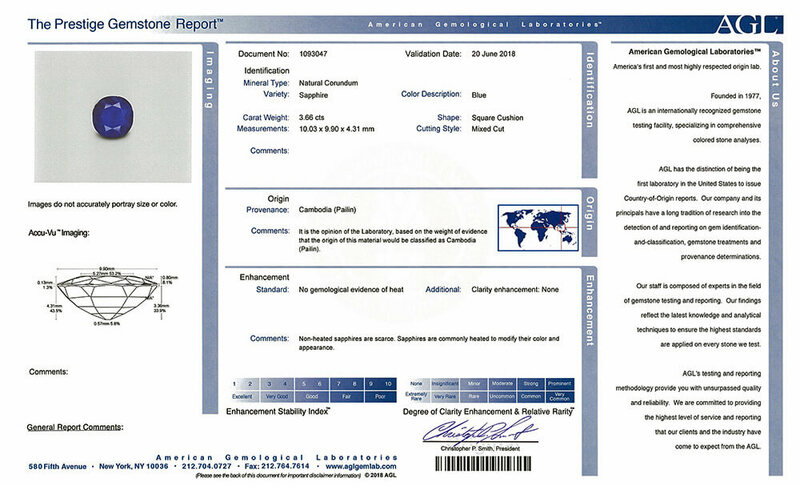 The bracelet comes with AGL Prestige Gemstone Report No. 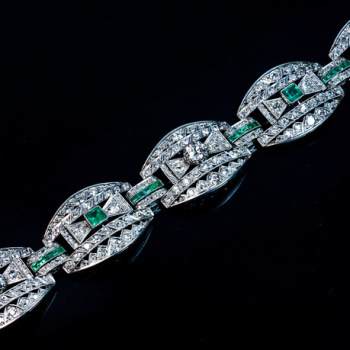 1093047 for the sapphire.